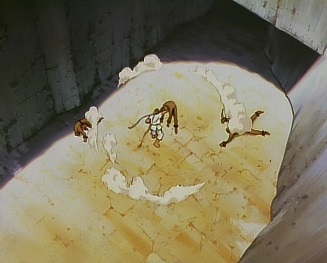 Ryu is attacked by three ninjas, but he quickly defeats them all. 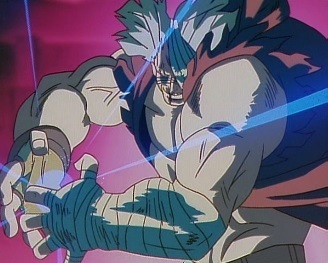 He can sense the dark hadou, and that it is trying to posses him again, but he then hears several explosions inside the lab. 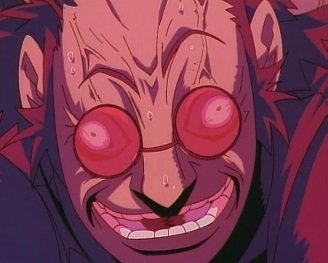 The man has defeated Ken and has caught up with Chun-Li and Birdie. 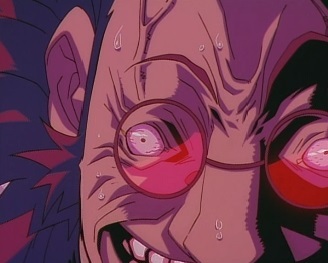 He chokes Birdie, but Chun-Li then runs in and grabs him by the face, slamming him into the ground. 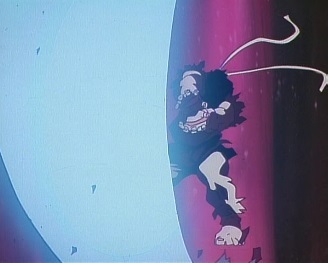 He gets back up, and runs forward as Chun-Li throws a projectile at him. 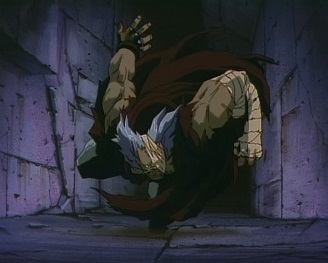 But he runs right through it, without showing any kinds of damage, and grabs Chun-Li. 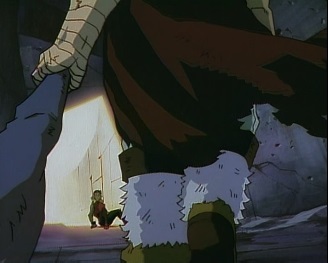 He injures her just as Ken returns, saying he won't be defeated by a puppet. 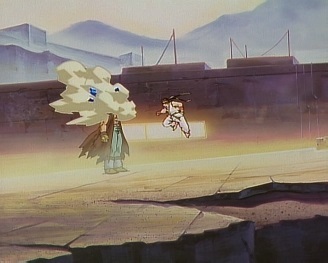 Chun-Li is thrown to the floor, and she tells Ken to get out of here whilst he can. The man says he is tired of playing around. 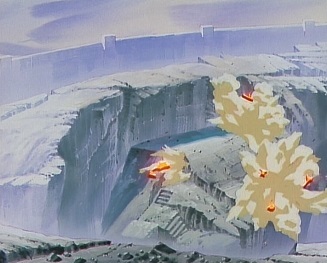 Seconds later there is another set of explosions, as the man appears outside, throwing Ken and Chun-Li to the ground. 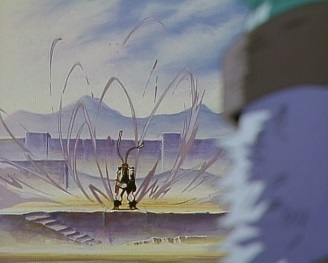 But the noise has gotten Ryu's attention, as he appears. 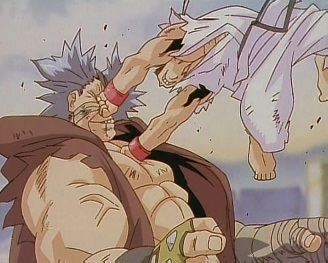 He leaps over and smashes the man in his face with an elbow. 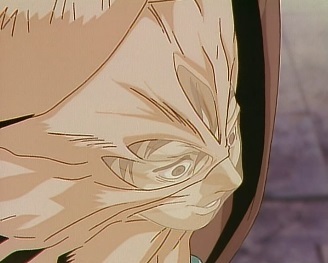 The man stops moving, as suddenly, Shun's head appears from within his chest! 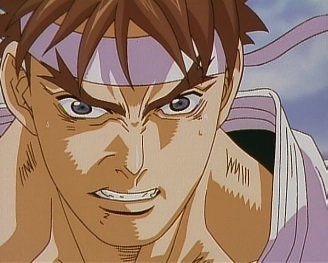 Shun tells Ryu to feel more anger and hate, and then calls him an idiot. 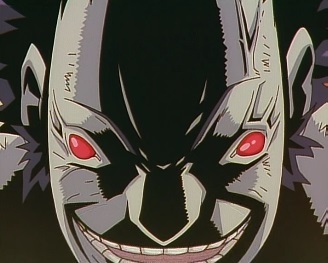 They set such a simple trap, and he and his friends fell right into it. 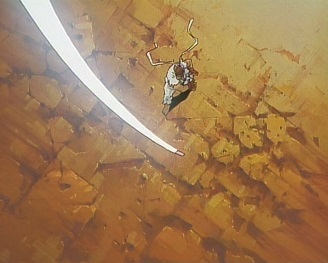 Was he here to rescue a fake brother who doesn't exist? 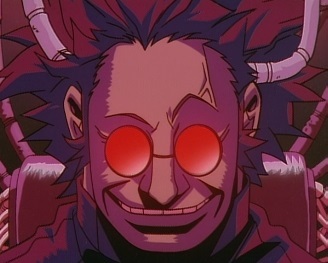 Did he ever really believe that he was his brother? 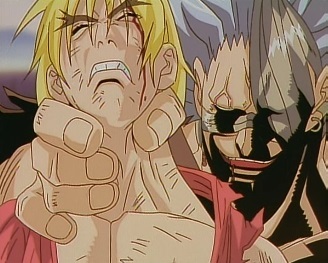 The man picks Ken up as Shun tells Ryu that Ken will die -unless Ryu uses the dark hadou against him. 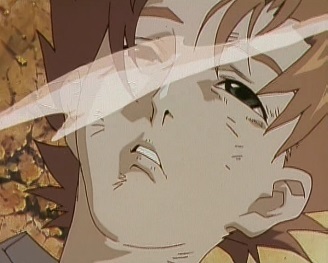 Chun-Li regains conscious and sees Ryu getting angrier. 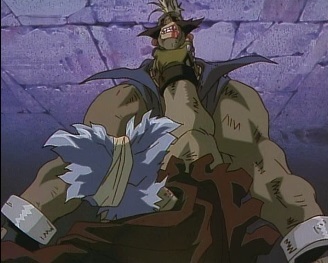 Shun is pleased by this, and the man drops Ken. 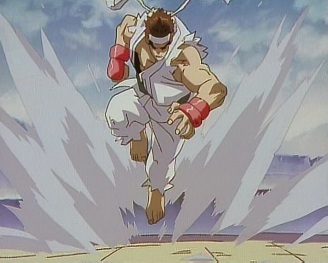 Ryu charges forward. 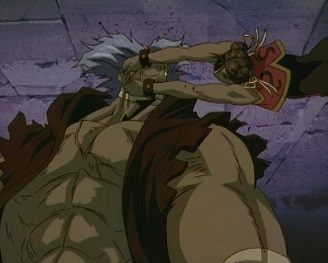 As Ryu fights, Sadler is collecting his data. 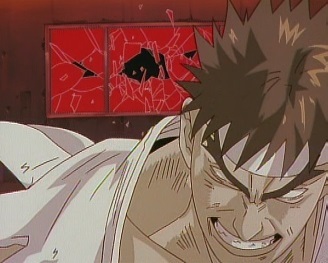 It seems that he is linked to his warrior somehow, as every time Ryu attacks, Sadler himself can feel the pain. 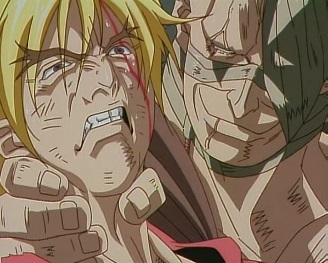 But he doesn't seem to care and wants Ryu to just keep fighting. 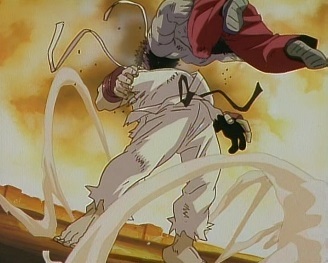 Ryu pummels his opponent, and then throws a hadouken at him. 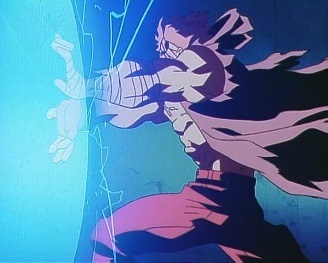 ...as he uses the hadouken! 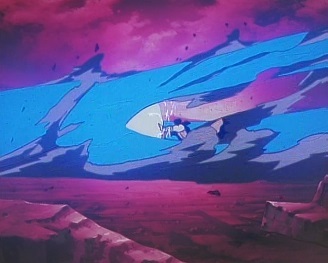 But his version of it is much larger, as he throws out an energy blasts which hits Ken and sends him flying across the arena. 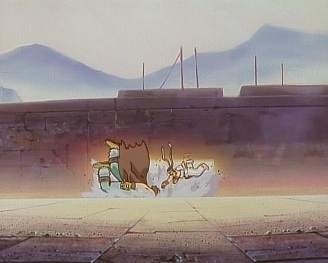 Chun-Li runs forward and kicks the warrior as hard as she can in the face, but he doesn't feel a thing. 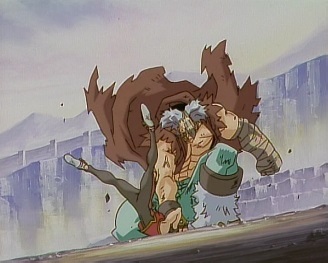 He replies to her attack by grabbing her by the head and slamming her into the ground. 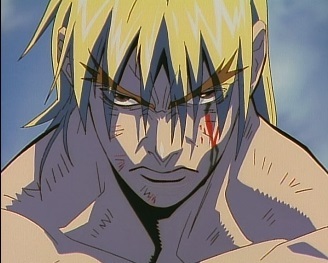 Ken then wakes up and says that he's never fought anyone just to hurt them, but that's about to change. 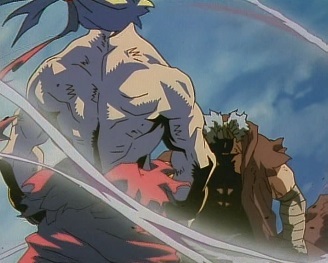 The warrior turns around and calls Ken a fool, before starting to walk towards him. 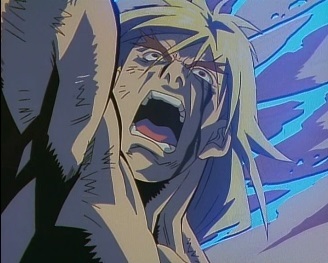 Ken says that this one is for Ryu, and then dashes forward. 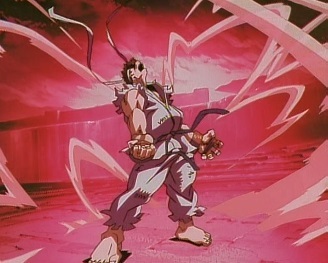 A huge tornado is created, as Ken uses his shoryuken technique. 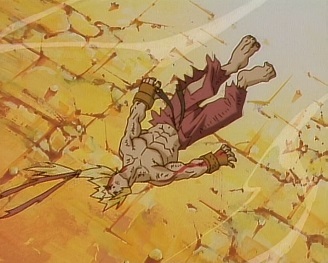 Ken loses conscious shortly after using his dragon punch, and falls to the ground. 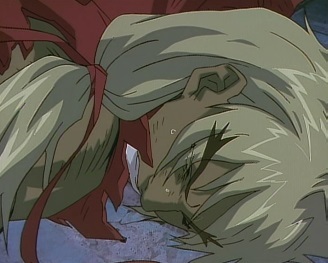 The warrior has had his jaw dislocated, but he quickly heals his wound and asks if that was the best he could do. 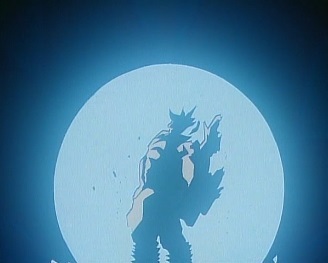 Having seen everything, Ryu has gone over the edge, and starts to use the dark hadou. 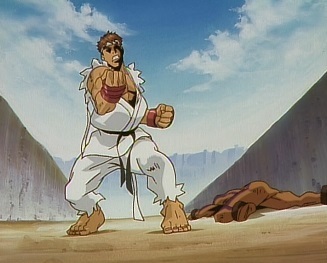 Sadler watches as Ryu charges up a projectile. 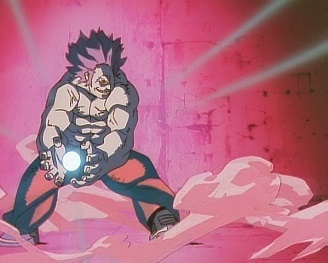 As he throws it, the warrior does the same, but his fireball is nothing compared to Ryu's. 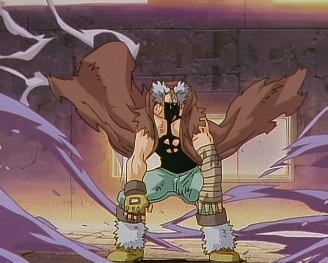 It fails to stop his opponent's attack, and goes right through him. 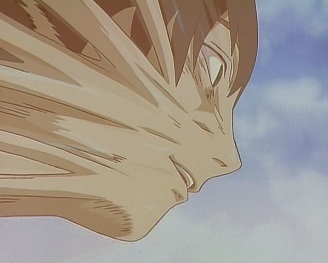 Shun is released, and sent spiraling through the air. 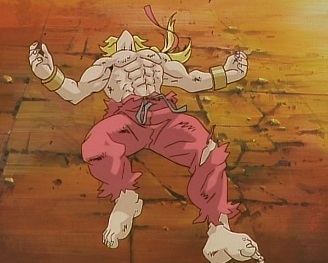 The warrior has been defeated, and collapses into nothing. 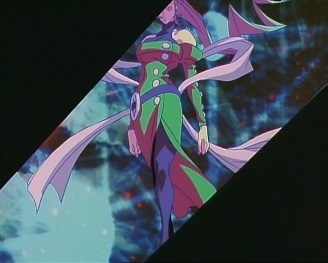 But Sadler now has what he wants: the dark hadou data. 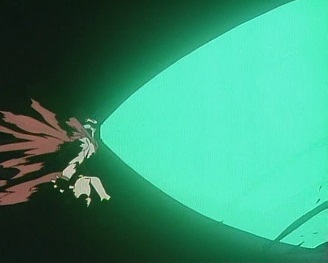 He has this data transferred into himself, and then leaps through the window. 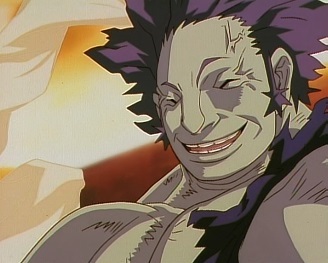 He personally thanks Ryu for this great gift, a gift he intends to share. 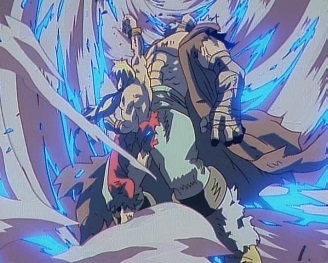 He then proceeds to pulverize Ryu with a variety of different moves. 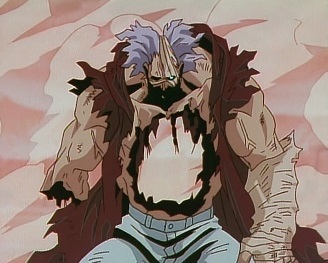 Sadler says he loves his new body, and only one person should be able to have a body like this. 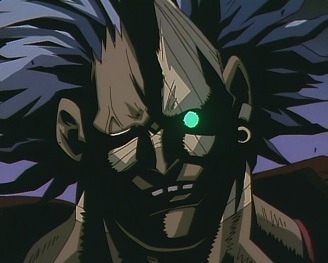 He will swallow Ryu up with his evil. 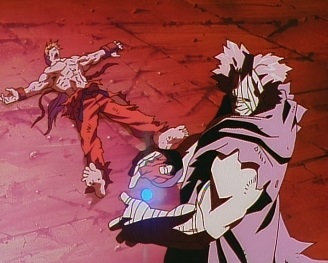 Ryu thinks if it is true -will the dark hadou consume him? 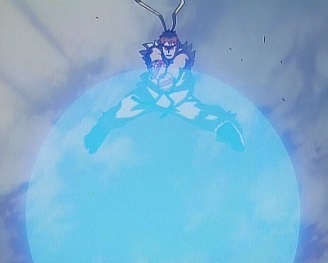 Sadler prepares to throw a fireball, as Ryu does the same. 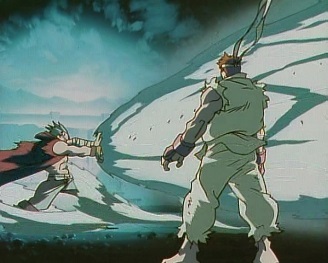 But then a card is thrown in front of Ryu, and time seems to stop. 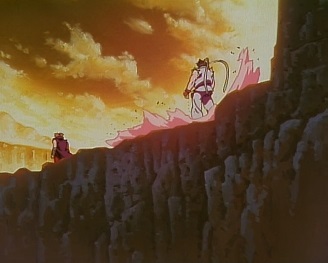 Rose appears, and tells Ryu that he hasn't turned over the death card...yet. She then disappears. 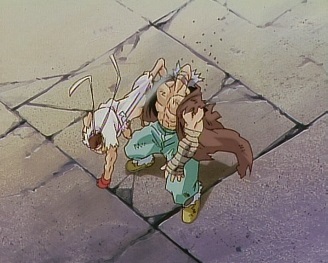 Shun, barely alive, tells Ryu to stop, as he doesn't have to do this. 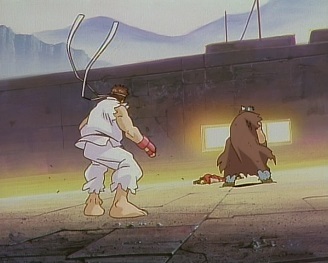 Chun-Li also recovers and tells Ryu not to lose. 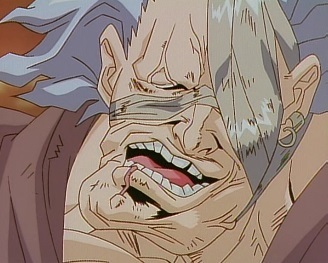 Ken is awake and says that Ryu will never be like Akuma. They don't fight to kill. 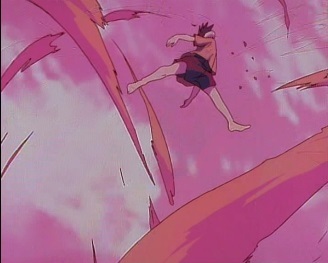 As this is going on, Sakura has recovered, and is practicing some moves. But she still thinks about that question: why does he fight? She thinks he must fight on to find that answer. 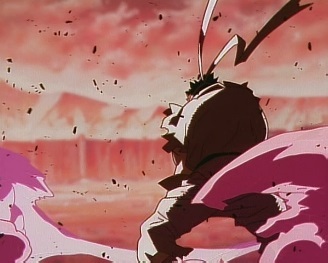 Back at the battle, Sadler unleashes his projectile. 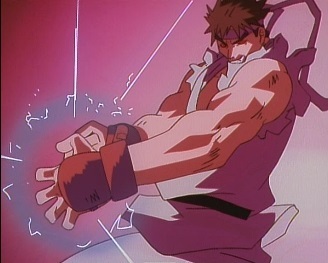 Ryu allows it to hit him, but he still stands, and still has his own fireball charging up. 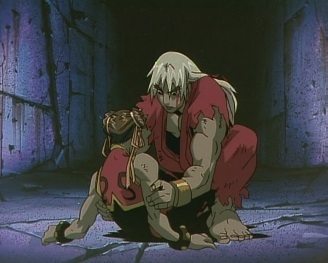 But he seems to have calmed down, and no longer has the dark hadou possessing him. 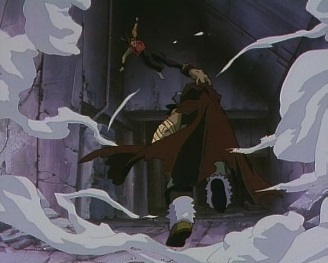 Ryu throws his projectile at Sadler, and when the smoke clears, Sadler has been badly hurt, having lost both of his arms. 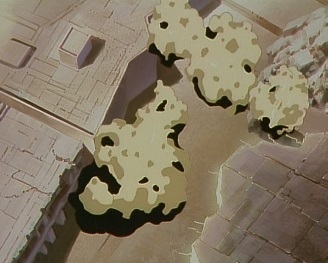 Sadler only has time to ask himself how this happened, before he crumbles into nothing. 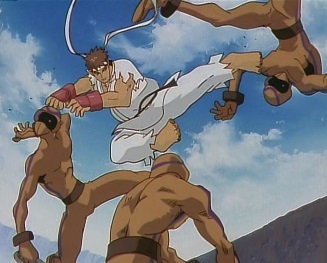 Ryu goes to Shun. Shun says he always wanted to see him fight, but why did he come back for him? He must have known that this was a trap. And he didn't really think that he was his brother. So why? 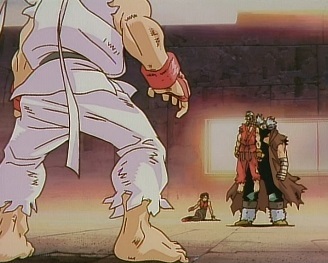 Ryu says he knows why -he really is his brother. 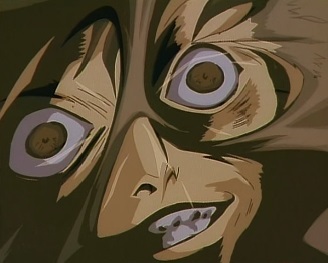 Ryu says that he will never use the dark hadou again. 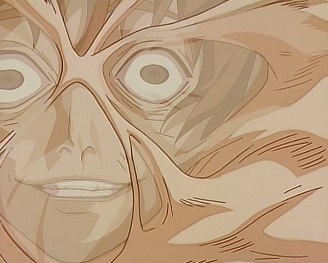 Shun says that he never meant for this to happen, but he wanted the money. 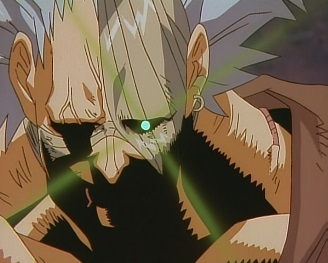 He thought that if he could get it, he could help their mother...and he also wanted to be stronger than anyone else. 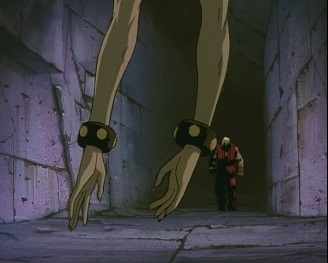 He questions what he has done, but then says goodbye to his brother. 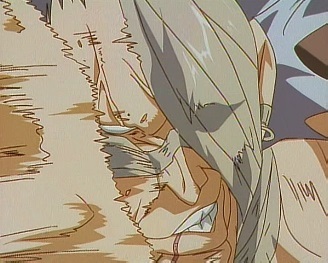 Shun then passes away. 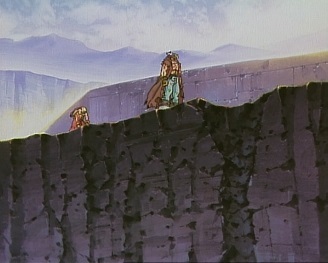 As the fighters return from Sadler's lab, they resume their normal lives. 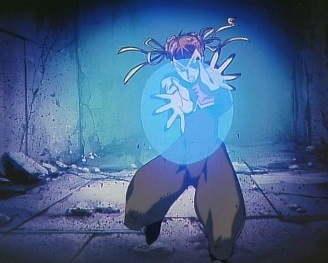 Chun-Li continues to work as an Interpol agent, and can take down any criminals she meets. Although Wallace thinks she ought to take it easy on them. 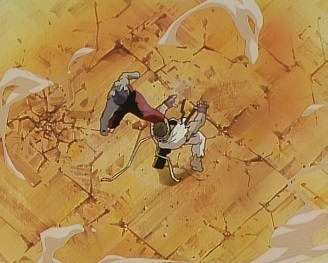 As Sakura does a high kick, her shoe comes off, but Kei catches it. Kei is surprised at what Sakura wants to do, but Sakura maintains that she's going to train hard. 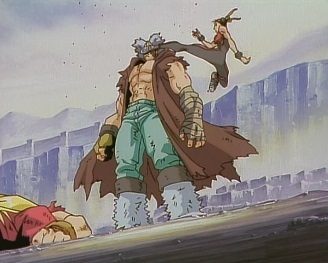 So then when she next sees Ryu, she'll be ready to fight him! 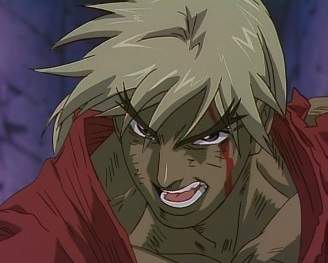 Having recovered from his injuries, Ken returns to the street fighting world, and is easily beating his opponents. 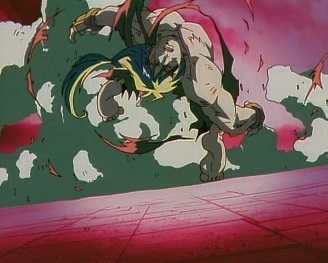 Ryu also fights again, this time against Akuma. 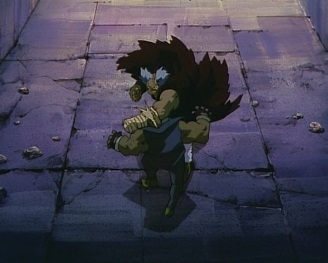 But he does not use the dark hadou, and thinks that he is never going to walk the same path as his opponent.